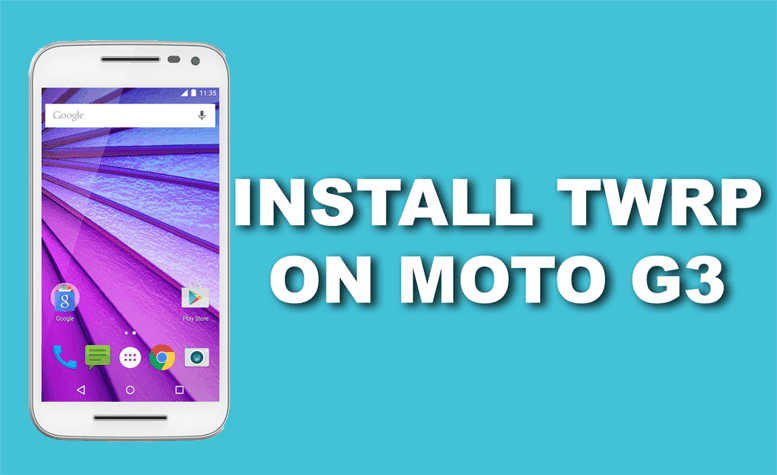 Download TWRP for Moto G 2015 & Install it! TWRP recovery is the most famous recovery available for Android phones and Motorola is still selling well in India (lol, heater Redmi Note 3). The combination of both will be really cool, won't it? I myself have rooted my phone and installed TWRP recovery in order to enjoy Viper4Audio, Greenify, Xposed Framework and other cool applications which OEMs won't provide you with. Also with TWRP you can install many custom ROMs for Android like CyanogenMod, BrokenOS, etc. which provides many extra features to your phone without Xposed Framework, and performance, obviously! Now let's directly move on to the tutorial! Unlocked bootloader: Make sure you have unlocked the device's bootloader. If you haven't, then have a look on this. Battery charged to good level: Make sure you've charged your battery to atleast 30% before you install TWRP on your phone. 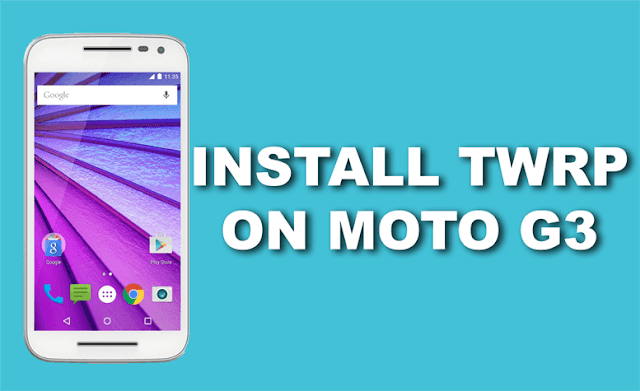 Download the latest TWRP recovery for moto g3 from here. Keep it into the folder where you have adb.exe, fastboot.exe and other files (or get it from here). Press and hold Shift key and press Right click. Now choose Open command prompt here in the ADB folder. Now that you have installed twrp on the phone, you can try installing zip files and playing with your phone, but make sure that you backup the device (TWRP>Backup)! You can comment below if you're facing issues with TWRP on Moto G..
Micromax are releasing phones very fast..Unite 2, Colors now this Canvas Win W092. 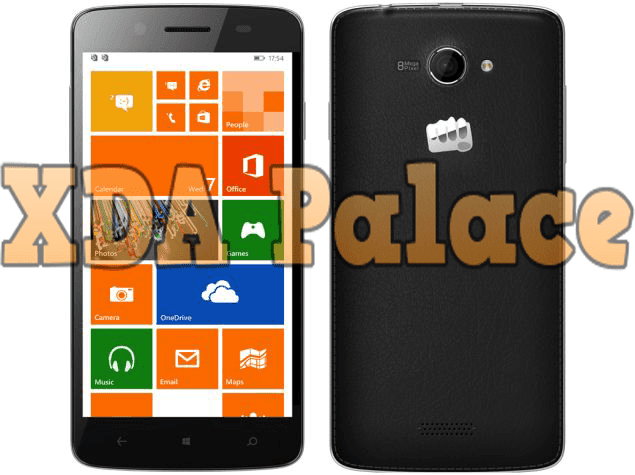 This is Micromax's first Windows phone which is running on latest Windows OS which is Windows 8.1. I have not used Win 8.1 on phone, but I have used older versions and I can say that this OS will be good and fast. After the huge success from their Android mobile phones, they finally switched their OS and I think they will also release mobile phones which will be running many other OSes too. It has a 4.0 inch display with 800x480 pixels and has a Qualcomm Snapdragon 200 processor which is good, but the screen size seems to be a con of this phone. Display: 4 inch (800x480 pixels) capacitve touchscreen IPS display. Operating System: Latest Windows 8.1 OS (3rd Gen). SIM support: Supports Dual SIM (Dual Standby). Procecssor: 1.2 GHz Snapdragon 200 Processor with 4 cores or is a Quad-Core device. RAM and ROM: 1 GB RAM. 8 GB internal storage which can be expanded up to 32 GB via SD Card. Camera: Primary Camera is 5 Mega Pixels with LED Flash, panorama, Geo-Tagging etc. and front camera of 0.3 Mega Pixels with no Focus. Battery: 1500 mAh, another Con of this phone. Other features: 3G, WiFi, Bluetooth 4.0, GPS, 2G. The device is not perfect, but good. The battery is also not a big issue if you want to use this phone only for calls, messages and a bit of multimedia applications. But if we compare this phone with Nokia Lumia's series, the device is very very cheap. The shape of this device looks dashing. Micromax has modified the UI a bit said Sanjay Kapoor in the launch ceremony, but after seeing the Android phones of MMX, we can say that the changes made in the OS will be very less and might be unstable. We cannot say much about the phone, but we will hope that this will be an another boom in Indian market. You can comment your reviews about this phone. So you are using HTC One XL and bored of stock ROM which is not having features and also not customisable? I hope that's the only reason because of which you are searching CyanogenMod 12 ROM (Android 4.4.2 KK) for HTC One XL. You may have heard that CyanogenMod 12 is the best ROM, it is true! It is the best AOSP ROM you can have! I had bought Moto G just a week ago and I am running CyanogenMod 12 in it and it's is running smooth, with no bugs! My CM 12 ROM was a nighty release which means it was not stable, but for HTC One XL (evita), the release is fully stable and doesn't have any bug. The ROM will be as stable as your stock ROM. There is no Kit Kat update for HTC One XL, but you can tase the KK ROM by flashing this CM 12 ROM. CyanogenMod 12 ROM is just same as your stock ROM, but it can be customized! You can change the settings of how your notification bar appears, how your animations goes, guesture of your lock screen and other things. If you need a ROM which is customizable, has themes, then go for HTC One XL. Let me tell you that you cannot use themes in your stock ROM, but you can easily download and use themes in your CM 12 ROM. 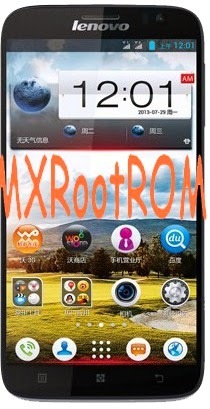 The ROM wil work in HTC One XL, because I personally tried this ROM in my friend's XL. It was a good experience when I put my hands on his device. I am also using CM 12 on my device and enjoying themes. KitKat brings lots of functions in Android devices like new animations, more battery backup (ART), better multi-tasking, more stablility and better application support. Make sure your HTC One's bootloader is unlocked and you are a rooted user. Make sure you have CWM or any other recovery installed in your HTC One XL. Don't flash this ROM on any other HTC or non-HTC device. Make a backup before flashing this ROM (included in the main guide). Don't try things not suggested here, because I won't provide support to the users who did it. CM 12.1 ROM for HTC One XL: Click HERE. Download the ROM from your PC and move it to your SD Card. [Optional] Download Google Apps and move it to your SD Card as well. Reboot your HTC One XL to recovery. Select Backup and restore and select Backup option. Select Wipe user data/factory reset option. Go to Mounts and partitions and format /system from there. Select install zip from sdcard and select the SD Card. Then select the .ZIP ROM which you just downloaded and pushed to your SD Card. Flash the Google Apps with the same method as well! Again select Wipe user data/factory reset option. Select Reboot system option and wait till the device reboots! This bot will take more time than usual, but after this boot, other boots will be faster like your stock ROM. Moto G 2015 is still one of the most popular phones in India under Rs. 13,000 with great build quality and decent specifications. We do have companies like Xiaomi which are releasing new phones with killer specifications, but with poor optimizations and hardware on which Motorola is actually working and has proved their metal again! I have used Moto G (1st) and (3rd) Generation and also Redmi 1S and Note 3, I hope they're good competitors? and found that Moto G always does my work better than Mi phones. But wouldn't more optimizations make the Moto G 2015 more faster and efficient? I mean I have tried ROMs like CyanogenMod, BrokenOS, Resurrection Remix, etc. but without kernel I don't find the smoothness in these ROMs (yeah Mi users, you too!) and that's why I and most people use a custom kernel with custom ROMs. Fast charging: Get your phone charged faster with this plugin. Double Tap To Wake: Wake up your phone with tapping two times on the screen! Overclocked to 1.4 GHz: Your phone now runs on a 1.4 GHz Quad core processor. Still not happy? You can set it to 1.6 GHz from 3rd party apps (Best: Kernel Auditor). Built with Uber 5.2.1 Toolchain: Improvement in performance and stability of the device. Various optimizations for performance: There are some other random performance upgrades and optimizations as well! Better Battery backup: Yup, this is optimized for battery too and you will see a good change in the batter usage! Well these were just 5 of the best features of this kernel. You can look all of them here, or try your self! 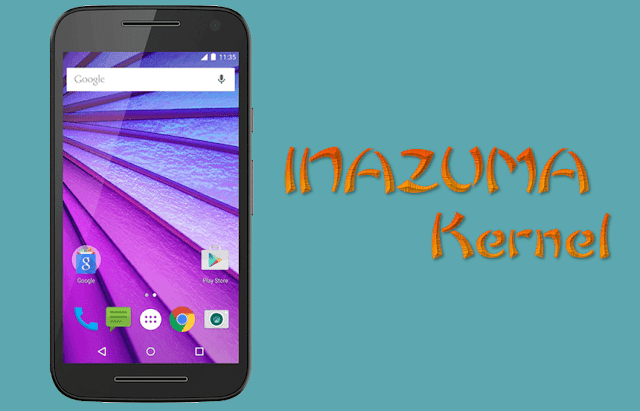 Download the Inazuma Kernel from here and move it to your internal storage. Reboot the phone to TWRP Recovery. Tap on INSTALL button and choose the Kernel zip file. Wipe cache from the new window (appears when the ROM flash completes). Now this time the phone will boot slowly, but after this boot, further ones will be faster and faster! Hope you guys liked this kernel. You can comment about this on my blog or on the XDA official thread. Thanks for reading! Lenovo acquired Motorola as we all know, but some people think they've stopped working on Lenovo which is completely wrong. They're releasing many phones from Lenovo too like this A850. I will be showing you how to root Lenovo A850 easily..
More than 60% battery charged. Working internet plan (just to download an 1 MB application which will root your phone). Your phone's warranty will be voided as soon as you root your phone! You can get the warranty back very easily with unrooting, but rooting may damage your phone (depends on how you use your phone). If you follow my instructions, you won't have a bricked phone, but even if you bricked up in any case, I am not responsible for that! Download and install the app in your phone. Open Settings>About Phone and tap 7 times in Build Number to enable Developer Options. Press back and open a new option Developer options. Select USB Debugging and make sure it is ticked. Open Security from the Settings and Enable Unknown sources and make sure it is ticked too. Now open any Explorer say ES File Manager and tap on the application. Select Install and let the app install. It won't take much time. Open the app and tap on Boromir. You will see a successful message which means you're rooted! Now you will see Android is upgrading. Enjoy your rooted Lenovo A850. You can now install TWRP/CWM recovery in your phone and flash ROMs, but make sure you take a Nandroid backup.